Bye, Bye Bad Hair Days: Tips & Tricks From Our Interview With Celebrity Stylist Jill Crosby. Thank you Women's ROGAINE® for sponsoring this post. It's not every day that you get to interview a celebrity stylist and learn first hand from the pros the tips and tricks used in the industry and in Hollywood to get celebrities ready for the red carpet and press events. Which is why we were thrilled to interview celebrity stylist Jill Crosby, the Women’s ROGAINE® Brand Ambassador, who styles the tresses of male and female celebrities. Including actresses Diane Keaton, Anna Faris, Morena Baccarin, Allison Janney and Julie Bowen who stars alongside Sofia Vergara in the hit TV Show 'Modern Family'. Read on to discover the hair care myths that Jill busts, tips on the best hairstyles and haircuts for you, the beauty tools and products that every woman should have in her hair care arsenal. Plus the latest and greatest hair loss treatments to help you say 'bye, bye to bad hair days'! 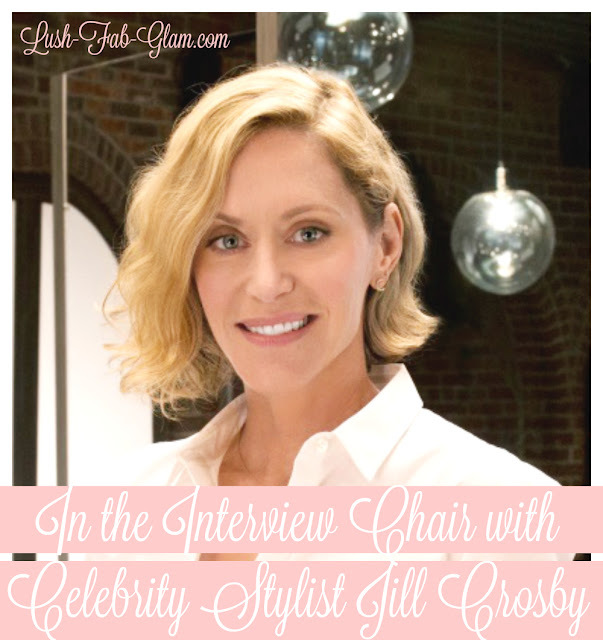 Jill Crosby is known as one of the best stylists in the industry because of the quality of her work and her expertise with styling thinning hair for celebrities who have the same hair issues and bad hair days as us regular women. In fact up to 42% of women will notice some hair loss in their lifetime and if left untreated can worsen over time. This is why it's important to be proactive and use Women’s ROGAINE® at the first sign of hair loss as part of a proactive and effective anti-aging regimen to start regrowing fuller, thicker hair in as little as 12 weeks! Be proactive about hair loss. Whether you have dry brittle hair or hair thinning that's hereditary or as a result of illness etc. Jill Crosby has embraced her role as ROGAINE® brand ambassador to show women how to care for and style their thin hair. In her interview below she provides additional resources including video tutorials and websites to help you learn more. 1. Which Celebrity's hair did you enjoy styling the most and why? "I love all my celebs. What can I say ... I feel very blessed to work with such talented women and men, I can't qualify which one I like best." 2. What's the biggest hair care/ hairstyling myth that you would like to bust? 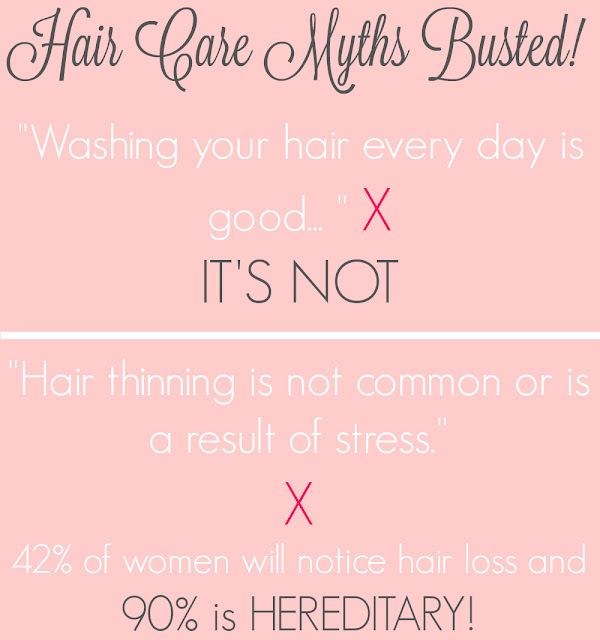 "Washing your hair every day is good...IT'S NOT! By washing your hair every day you are basically training your sebaceous glands to produce more oil to meet the needs of the surface PH levels become dried out and need more oil. If you give it a few days of washing every other day, you will begin to see that the production of oil will slow down and you won't feel greasy any more. This will allow your hair to calm down and heal from the over use of astringent soaps. Your body wants to hydrate your hair evenly if you let it ." 3. What are the top 3 hair care tools or products that every woman should have in their hair care arsenal? "Wet Brush" is key. Use this while hair is wet and you'll fall in love, no pulling of your hair, it just glides through. A T3 blowdryer, love my T3. 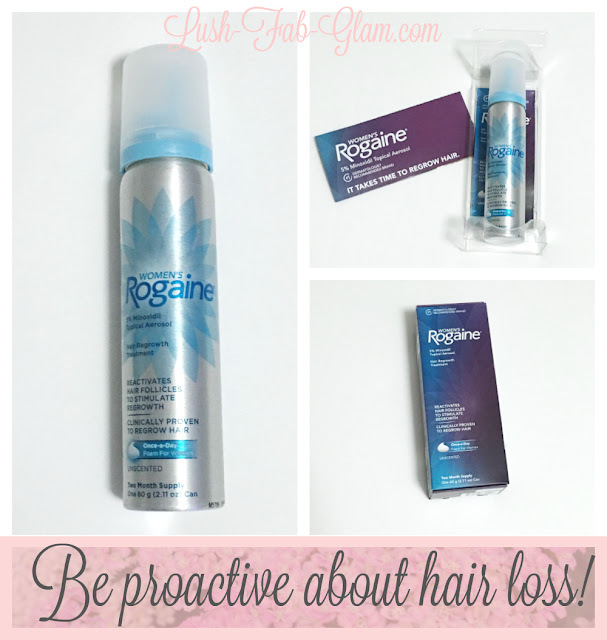 "And if you have thinning hair or hereditary hair loss Women’s ROGAINE® Foam ...a MUST." Click here for your coupon to try it. 4. Which hairstyle and haircut would you recommend for women with thin/ thinning hair? "On our Women's ROGAINE® website I have tutorial videos to help women answer this question. But I always say to work with a trusted stylist to help design the right look for you. Every woman is different, with different needs and style preferences." 5. Considering your immense success as a stylist, what advice would you give to someone pursuing a career in the hair styling industry? "Train, apprentice, watch other stylists, search for new paths of creativity, sweep floors for those you'd like to work for just to get a foot in the door. 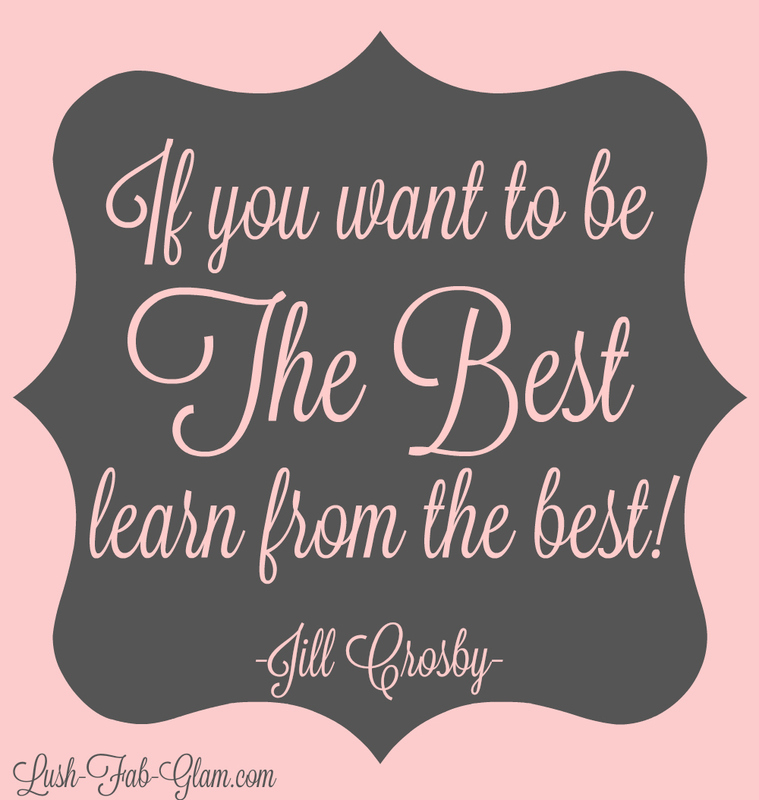 If you want to be the best, you must start by working for the best and learn what they have done first." We hope you enjoyed these tips and tricks from Jill Crosby and don't forget to visit the Women's ROGAINE® website for more beauty tips and video tutorials by Jill. Plus learn more about how to treat thinning hair and hereditary hair loss by adding Women’s ROGAINE® Foam to your anti-aging arsenal. This makes me wish I had long hair lol! Awesome. I wish I had long hair too. I knew washing your hair every day is not good for your hair. Lots of great info here. Always glad to find new tips on how to take care of my hair. Great tips! Taking care of your hair is so important. Very great read! Most days we just get up and go... or toss a braid in our hair and call it a day! Haha yup the default almost everyday hairstyle. My hair can sometimes be so unmanageable, drives me crazy! We totally get it, bad hair days are the worst!